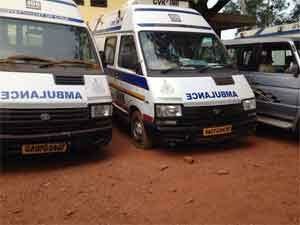 Panaji: The Goa government said that easy-to-use blood analyser machines would be installed in ambulances as part of efforts to enhance patient care. The portable machines, called i-STAT, will be installed in ambulances operated by government-run hospitals, Health Minister Vishwajit Rane said. “These are hand-held gadgets and would be installed in ambulances of state-run hospitals,” he said at a press conference. These Wi-Fi-enabled machines can test 29 parameters of blood, he said. Rane said the government is in talks with different multinational companies to donate such machines under their Corporate Social Responsibility (CSR) initiatives. These machines would be linked to Aadhar card through which details of the patient would be automatically sent to the nearest health centre where he/she would be taken for treatment, Rane said. The handheld analyser provides reliable test results in just minutes, using as little as two drops of blood. It enables healthcare professionals to make decisions to accelerate patient care.